A few minutes after crossing the bridge, we entered another continent: Asia, but we were still in the city of Istanbul. We then descended slowly through the layers of smog that enshroud the city, a site common to a sprawling and crowded metropolis. I noticed lines and stacks of apartment buildings. My tour mates noticed it too, but before we could ask a question or make any comments, our tour-guide was quick to comment, “They’re apartment homes or what you call condos, there are no yards or gardens. We don’t build single homes here.” He then made a snide remark, “Turkey's contribution to modern day architecture.” I guessed the beautifully manicured gardens on the side of the road and road dividers carpeted with flowers, mostly tulips, compensate for the absence of yard and gardens in a residential area. As our bus made its way outside the city, our tour guide started talking about religion and politics. He would begin his sentence with a qualifier, “I don’t mean to offend anyone,” and said it a number of times. He added, “I know that, in your country, you don’t like to talk about politics and religion. Here you can you talk about anything, even ask personal questions, including asking a parent if their boy had been circumcised. That statement prompted the two sisters from New York to ask our guide about his personal life, “So how many wives do you have?” they asked. I thought our tour-guide strategically laid out his agenda, to talk about the fundamentals of Islam, family tradition, social responsibility and the core of Koranic governance, and mentioned that the country is mostly secular. He sounded like a professor, enunciating and stressing the word that he wanted the student to remember. We learned later that he lectured college groups and guided religious groups who traveled to Turkey. When I interrupted his talk about politics and religion by asking about the industry and the landscape, he said, “Not there yet; I’ll get into that.” It was not until we were driving through a stretch of farmland and fields of golden canola flowers on the way to Gallipoli, where we were to catch a ferry to cross the Dardanelles to Canakkale, that he started to talk about the geography and landscape. He mentioned that we would pass varying landscapes: farmlands with crops grown in a particular area such as canola, rice, wheat, olive and orange groves. He always made a comparison between Turkey and Greece. Although bounded by four bodies of water - the Bosphorus Sea, the Aegean, the Mediterranean and the Black Sea, Turkey has flatlands and valleys favorable to farming. They're the 2nd biggest producer of olive oil in Europe. He then went back to the topic of politics. I sensed that he was not happy with the current prime minister and the president from a political sense (the lack of freedom of speech by banning Twitter and You Tube), but he attributed the country’s unprecedented economic growth to the current prime minister; he said he voted for him. We stopped at Gallipoli for lunch before catching the ferry to Canakkale. Gallipoli has a great historical significance to the Australians. It is now a quaint fishing town. I saw street vendors selling fresh fish under the midday sun. The drive from the port to Canakkale, along the Sea of Marmara was another historical moment; it was the sight of the battle of Canakkale. These became the familiar elements of our road trip: four to seven hours of driving, an obligatory (bathroom + shopping) stop after two hours of driving; a retelling of history and religion; a ruin with an accompanying story; repeating the phrase, “Everything comes from Turkey,' a cup of Nescafe, and lunch at a roadside restaurant. I played it safe by eating rice and eggplant or chicken kebab. I thought California was the orange capital of the world, but you turn a corner in Turkey and you'll find vendors offering freshly squeezed orange or pomegranate juice. Our next stop was the city of Canakkale, a college town and relatively modern city. Our hotel was in front of the boardwalk and overlooking the seaside. As I enjoyed a stroll along the boardwalk, I saw another Trojan horse. It was said to be a Trojan horse used in Brad Pitt's movie, “The Trojan War" which the hotel purchased from the production company. After dinner, I went with a young couple from Canada to check out the nightlife. We were joined by another young (I wanted to say college kids, but they’re old enough to drink) at the rooftop club and bar at our hotel. The bar was literally called The Hangover. We were the first ones to arrive at the bar and was told that Turkish music would be the entertainment for the night. The fact that three young women and one man, enjoying some alcoholic drinks in a country perceived as traditionally Moslem, made me feel uncomfortable. Then I thought they knew that we were tourists. As the bar started to fill-up, a woman singer appeared on the stage; she was dressed as a rock-and-roll star and has tattoo all over her arms. She started singing some contemporary Turkish song. Most of the audience members were young. Across our table, a young man was celebrating his birthday. His friends, three young women drag him to dance. The atmosphere inside the bar felt as if I were in Berkeley, California except that when I looked out the window, I saw a minaret lit in neon blue reflected on the water. 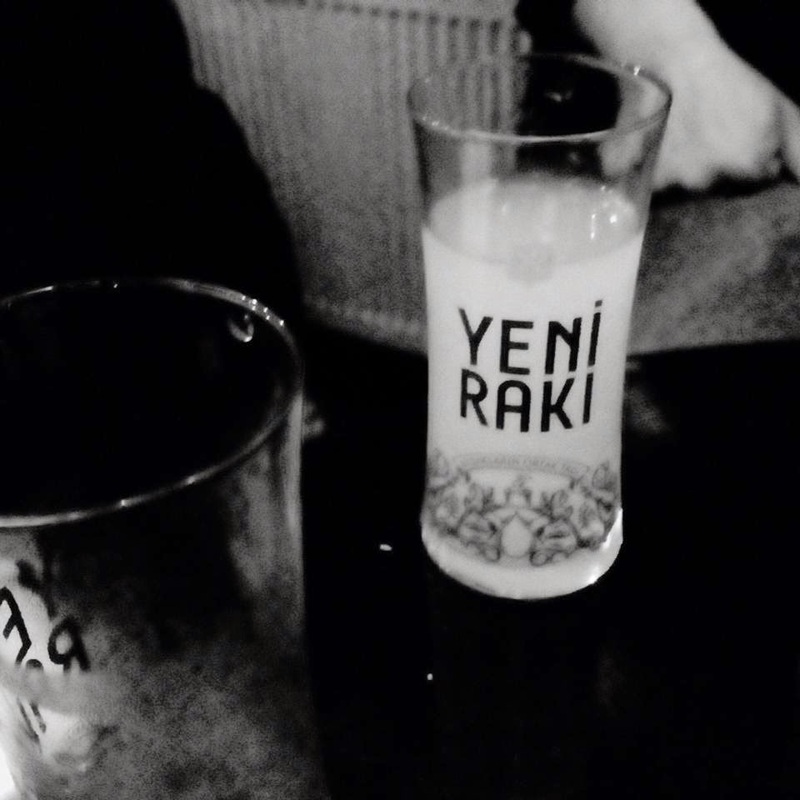 I traveled to Turkey to be intrigued by the romance of Istanbul and with the idea of focusing on its natural beauty, specifically Cappadocia, not on its politics and religion, but by the time we left Canakkale, I already received a dosage of religion and taste of culture(I mean raki).